The rise of the humanistic Renaissance Period brought about the classical era where the artistic heritages of Ancient Greece and Rome joined together, commercial endeavors came about, and the surge of the bourgeois increased. Renaissance (meaning “rebirth”) music is actually European music during the 14th and 16th centuries (between the middle ages and Baroque times). 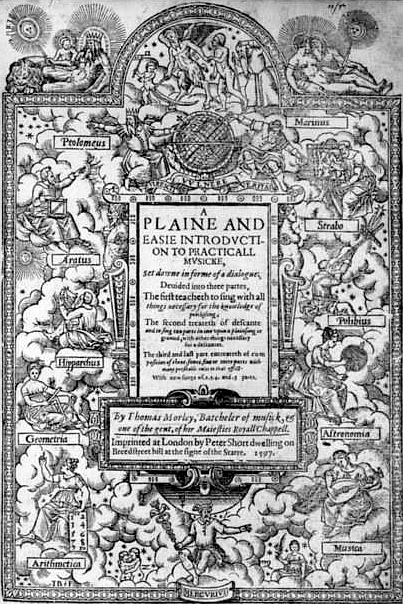 Early renaissance music was slower, gentler, and more tonal with stable tones. 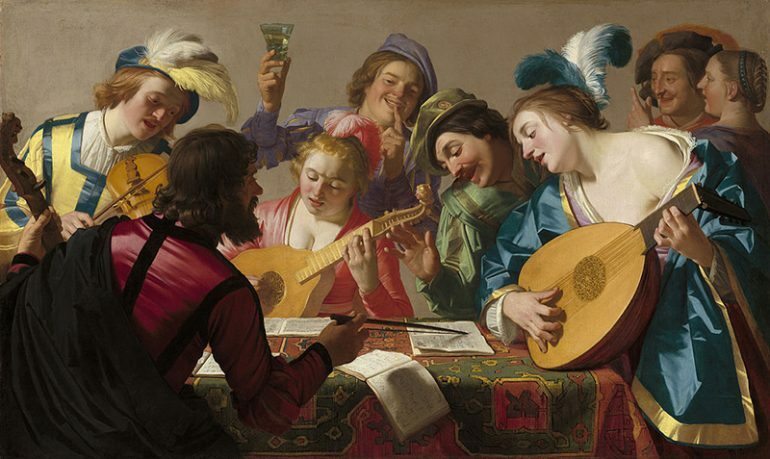 Over time, renaissance music had changed into faster rhythmic forms. The Renaissance period was the greatest period when fine arts and popular composers prospered. These famous composers include Thomas Tallis, English, who wrote his last name as Tallys. He composed in English, Latin, French, Italian, and other languages for any music served in Church or chamber. There’s also Thomas Morley, who was also a singer, organist, and theorist. Under William Byrd’s guidance, he trained his mastery of Italian madrigal style and of a strong polyphony style. John Dowland was an English singer and lutenist. Most of his songs were played on a lute. Giovanni Pierluigi da Palestrina was an Italian who wrote many madrigals, motets, hymns, magnificats, and other church hymns. His compositions developed over time. Giovanni Gabrieli, Italian, was also an organist. He wrote both vocal and instrumental works. Claudio Monteverdi was another Italian, who was a singer, gambist (someone who plays the viola de gamba), and a Catholic priest. He also has eight books of madrigals for voice. By the 16th century, Medieval music was born. It was divided into two types: secular and religious. Secular music were ballads based on love or courage at war. Wandering musicians played on lutes (string); drums, cymbals, bells (percussion); horns and flutes (wind); and on organs and more. Church music was a choral polyphony; it is now known as Gregorian music and sung a capella. The end of the 16th century marked the beginning of opera music. Its different styles, textures, and forms were delightful to listen to. Composers experimented with choral and instrumental contrasts of sound – fast or slow, loud or soft. German Johann Sebastian Bach was one of the top composers of this period who masterly used the organ and harpsichord to create almost every style of classical music. Another German, George Frideric Handel, who became a British, wrote operas, anthems, and organ concertos. Antonio Vivaldi from Venice wrote about 500 instrumental concerto pieces, while George Philipp Telemann, another German composer, created an opera by age 12. He played the flute, violin, trombone, oboe, and other instruments. Italian Arcangelo Corelli was the first to master the technique of the newly invented violin. Henry Purcell, English, combined Italian and French composition styles of songs and anthems, while Domenico Scarlatti wrote 555 harpsichord sonatas using a mixture of Italian, Portuguese, and Spanish dance tempo. Another popular composer during the Baroque period was Jean-Philippe Rameau, a French who wrote operas with various moods and color on a harpsichord. Johann Pachelbel was not just a composer but also an organist. He created chamber music and sacred concertos with rich techniques. There was also Giovanni Battista Sammartini who was a choirmaster. His creations included operas, symphonies, concertos, and some chamber music. The classical era had a long period of cultural music history, influenced by Ancient Greece and Rome. It has deeply influenced composers globally over the years, that even now, modern musical composers, base their unique and stylized compositions on classical music styles, techniques, and forms using modern instruments.